Here to help keep retired Fire Fighters involved in their retirement and the fire service. IARF stays involved by attending events such as parades, ceremonies, and more. Stay politically active and keep an interest in your retirement, pension, and benefits. From golf outings to fishing tournaments, we stay involved with active and retired members helping raise funds for good causes. Upcoming General Election is Tuesday, April 2, 2019, get out and VOTE! Keep up to date with the latest political issues, bills, and information. The Illinois Association of Retire Firefighters meets regulary. Meetings are posted under What's New box on the left of the web site. Click next to the date for location information. 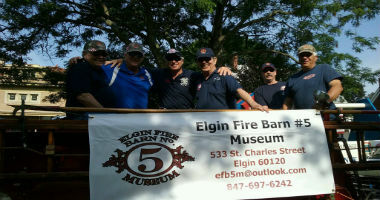 The Illinois Association of Retired Firefighters hosts an annual golf outing. 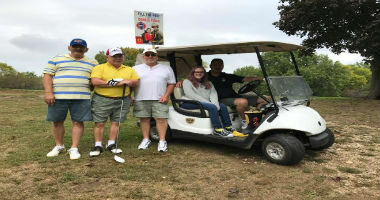 The next one is Wednesday, September 4, 2019 at Inwood Golf Course Joliet, IL. Thank you to those who attended our recent meeting. 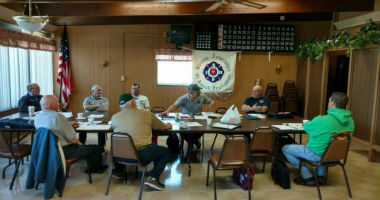 In 1982, The Illinois Association of Retired Firefighters was formed to assist retired and/or disabled firefighters to continue being an integral part of their community. The IARF allows the retiree to maintain contact with friends and co-workers, continue to be informed about problems of retirees, and keeping up to date with solutions to financial problems faced by Firefighters. IARF currently has 26 local Clubs chartered throughout Illinois, in cities like Rockford, Joliet, Peoria, Bloomington, Decatur, Quad Cities, Springfield, and Belleville. Each local club continues to work with and support area AFFI Locals, and we continue to be members of the Associated Fire Fighters of Illinois. The local clubs plan activities such as visiting elderly members, and staying engaged in the community. They encourage the disabled and/or retired firefighters to visit any brother or sister who is hospitalized or is home bound, and to participate in Silent Watch duties for any members who pass. 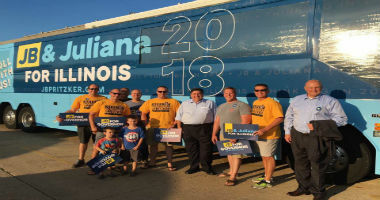 The Illinois Association of Retired Firefighters began publishing a bi-annual magazine, Disabled and Retired Firefighters, as a way of informing retirees about other clubs activities in their communities including charity work, public education, visiting the sick and infirmed, and political activities. Local Clubs have engaged in such activities as; working with the AFFI Local to build a home ramp for disabled MDA spokesperson. IARF have donated to a retiree whose wife had a stroke, and donating to Operation Santa, an organization that sends Christmas stockings to deployed heroes. 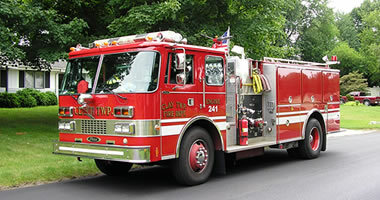 Our current focus is to encourage our retiree clubs to join with the active fire fighters in their community service activities, such as their “Fill the Boot” Drive for MDA, “Shop with a Fireman” for underprivileged children during the Christmas season, visiting hospital bound children at Christmas, placing flags on graves of brothers who have passed and many other charitable activities. This alliance between the active Fire Fighters and the retirees will be our focus moving forward. 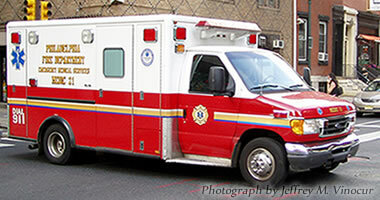 Our members have served their communities during their entire careers. They are continuing this effort into retirement. We need your help to continue these efforts, to help IARF protect our retired heroes and support our charities. Any sponsorships and/or donations will be greatly appreciated. Follow us on Facebook. Thank you in advance for your generous support of our retired firefighters. Mike Levine, Dan Oaks, Jay Smith, Rep. Mike Unes and Roger Fardel. What the IARF Can Do for You! The IARF was formed in 1982 by retirees with a mission - "Our Mission" is to help and seek ways for the betterment and well-being of Illinois Retired Firefighters and widows/widowers. IARF Magazine: This is our communication link to you twice a year. We are very proud of our magazine. Dues are only $10.00 per year, per member. This is mainly to make sure your adddress is up to date. Bulk mail is not forwarded. We want the magazine to get to you! We are registered in Illinois as a "Non-Profit Organization" with an elected Executive Board and with a set of Constitution and By-Laws, ruled by our Members. We are proud Members of the AFFI. We send delegates to the Bi-Annual AFFI State Conventions. We pay per capita dues to the AFFI. We have a voice and a very good relationship. IARF Quarterly Meetings are conducted around the State of Illinois for the convience of our Members. The July Quarterly Meeting is always held in Peoria along with the Annual Picnic. It is free for you and your spouse or guest. A meal, drinks, and door prizes after the Quarterly Meetings. Quarterly Minutes are sent out to each Retiree Club Secretary, along with any other information after each Quarterly Meeting is held. 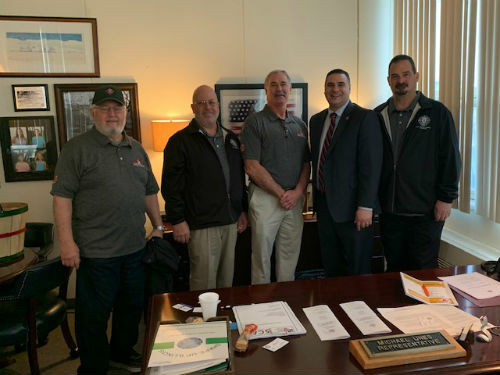 We lobby in Springfield legislatively right along with the AFFI. Follow us on Facebook for more Illinois Retired fun and news! Here's how to get in touch with the Illinois Association Of Retired Fire Fighters. Copyright 2018. Union Fire Web Design. All Rights Reserved.